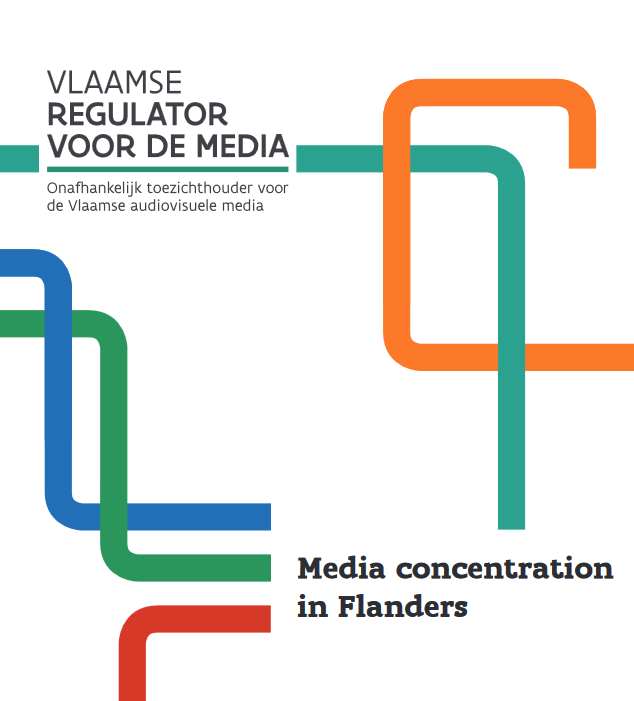 The Flemish Regulator for the Media (VRM) has published in December 2016 a report on the media concentration in Flanders in 2016. On a yearly basis VRM presents a report to the Flemish policy makers containing information on the positions occupied by players in the Flemish media sector. For the first time, the report is also accompanied by an extensive summary in English. Media concentration can be approached from many angles but from its first report in 2008, VRM opted for an approach from an economic point of view. The report therefore focuses on the relationships between the different players in the market, rather than e.g. performing content analysis. The first chapter of the report outlines the Flemish media industry. Flemish media groups are described in the second chapter which gives information on shareholders, company structure and product offerings. In the third chapter, information on media concentration is quantified and financial results and facts and figures on popularity of media brands are given. The fourth chapter gives information on measures aiming to enhance diversity and media plurality in Flanders. It also mentions possible new legal initiatives, stressing a number of them as policy suggestions. The general conclusions of the report are formulated in the last (fifth) chapter. Although there is not one single player that dominates the whole Flemish media industry, many forms of horizontal, vertical or cross media concentration exist in and between several Flemish media types. In the field of radio, there is a high degree of concentration, caused by the dominant position of the radio stations of the public broadcaster. As a result of new technologies, the revenue models for television are changing. This is causing tension over the distribution of income between players within different links in the value chain. The study also notes increasing activities of the dominant television distributor Telenet in other parts of the television value chain.